The band's latest featuring Ballbreaker, Timebomb and more. Only $5 plus $1.50 S&H! 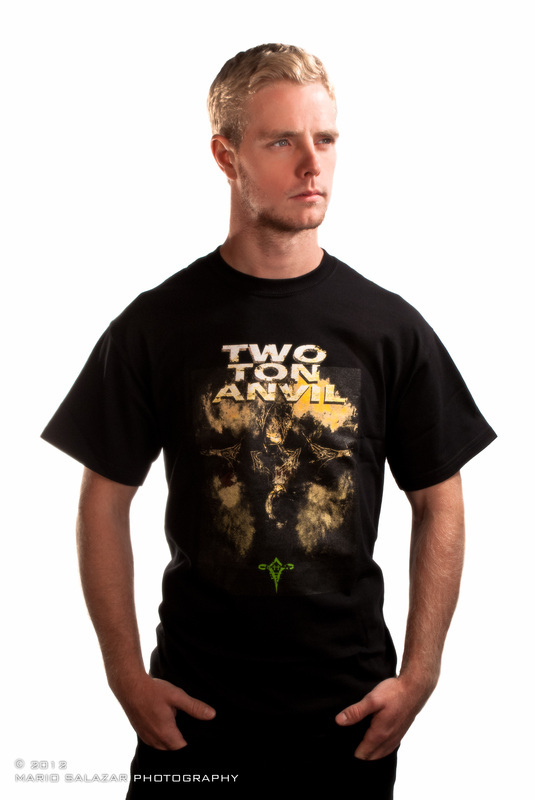 Men's Gildan 100% Cotton Pre-shrunk 2-sided 5 color T-Shirt. Available S/M/L/XL/2XL/3XL. Women's Gildan Baby Doll 100% Cotton Pre-shrunk 2-sided 5 color T-Shirt. Available S/M/L/XL. 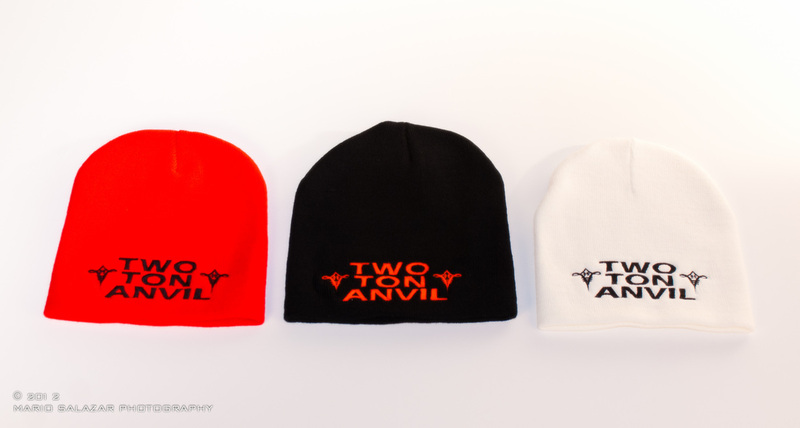 Skull Cap/Beanie - One size fits all. Please select color. While supplies last! 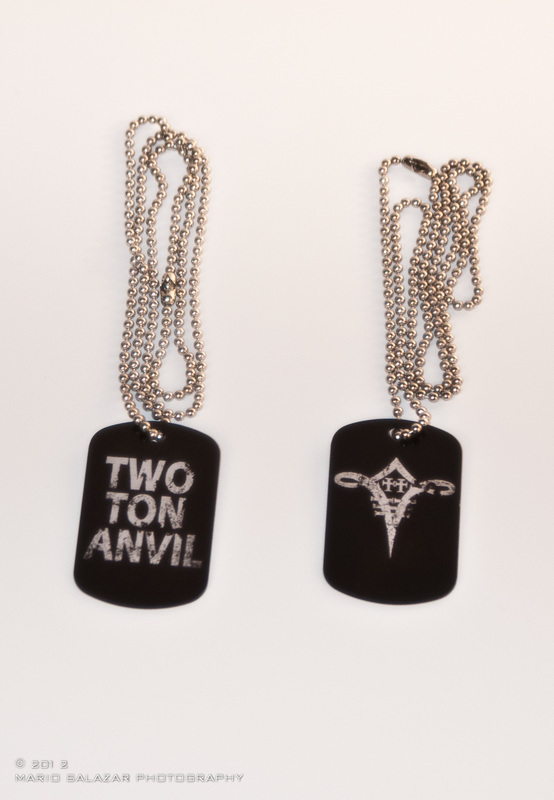 Custom TWO TON ANVIL Dog Tags. 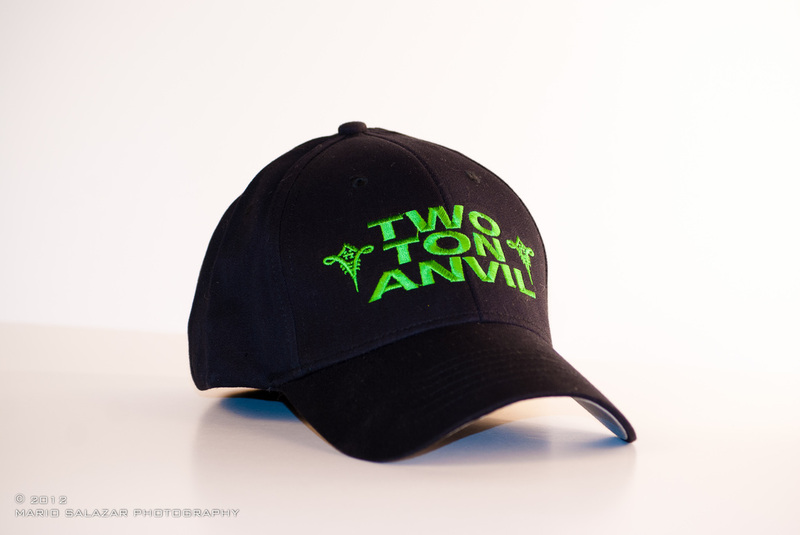 Double-sided - one size fits all! 2 for $5.00!